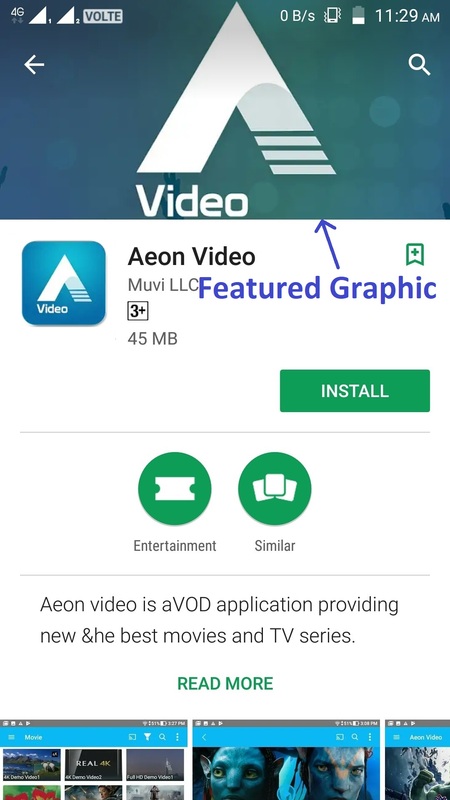 Muvi offers fully-featured, white-labelled, native Android App. The Android App has all of the same features as the website – user registration, login, search, filter etc. We have standard template for Mobile App as we do for the website. We also have a demo Mobile App. By installing the App you can get a look and feel of your actual App. Before developing your Android App, you can get a look and feel of your App through our Demo App. Simply install the App on your mobile device and go through all the features of the App. Please Click Here to know how to install the App. You can select template for your Android App. Currently, we have only one template for Android App. You can view the template in Manage Template page. First you need to purchase the App. You can do it so from the CMS. (Go to “Settings” –> “Advanced” in your CMS and select the check box for the App you want to purchase and then click on “Update“) If you have already purchased the App, then you can skip this step. To develop your Android App, you need to provide us necessary information through the CMS. Please go to “Mobile & TV Apps” –>” Android App” –>”Publish to App Store” in your CMS. All the information will be stored in our database and we will develop the Android App based on the information provided by you. If you wish to publish third-party content in your App (The content for which you don’t have the ownership), then as per Google Play’s guidelines, you need to share a Copyright document of the content with Google Play. The Copyright document will be an agreement between you and the original content owner. In this document, the content owner will give his/her consent to publish his/her content in your App. By sharing the Copyright document, you can avoid the rejection of your content/App in the Google Play Play store. You can prepare a Copyright document by going through this sample document. While building the mobile app, we need to integrate a feature where the app asks for permission of the end users to write data in the external storage of their device, access the user’s camera, reading the phone state of the user etc. These permissions are essential to execute certain tasks selected by the users. For example, when a user selects “Save to Device” option, then we need the permission of the user to save data to user’s device. User’s device asks for the permissions simply to protect the privacy of the user. Depending on the feature, the system might grant the permission automatically or might prompt the user to approve the request. Only dangerous permissions require user agreement. The way Android system asks the user to grant dangerous permissions depends on the version of Android running on the user’s device, and the system version targeted by your app. 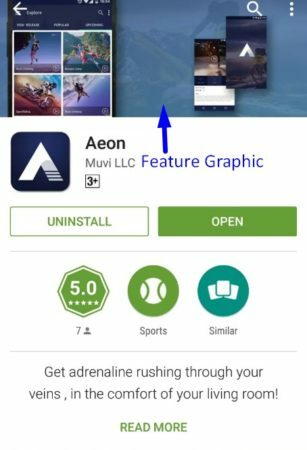 How Permissions Affect Installation of the App? If the user accepts all permissions asked by the system while installing the app, then the app will be installed in the user’s device. If the user denies the permissions request, then the system cancels the installation of the app. How Can You Inform Your Users About the Permissions? There are two ways to inform your users about the permissions you will need for the installation of your app. Currently, we are using the following permissions. READ_PHONE_STATE – This permission is required to check the phone current state to play or pause the video when a call comes. 1.First, we will upload the app for Beta testing from Muvi’s Developer Account in the App Store. 2.Through Beta testing, we will invite you to test the app. 3.After getting your approval , we will remove the app from Muvi’s Developer Account. 4.Then we will publish the app in the app store from your Developer Account. If you want to use your Android Developer’s ID, then please Click Here to create an Android Developer Account and update the Username and Password in the CMS. Go to Mobile & TV Apps –> Android App Select the check box “Use My Android Developers ID”. Type your “User Name” and “Password” and click on “Save”. (See Below Screenshot). We support android version 5.1.1 (Lollipop) and above. When it comes to android devices, we support the devices those have screen size 4.5 inches (11.43 cm) and above. Muvi maintains the Android App on an ongoing basis. It includes making updates and patches as required to support new Android versions and Android devices. Note: If you experience Mobile App crash issues with any mobile device then please update the Google Play Service from Google Play Store on that device.